Family camping tents are usually big and heavy 6 person or more tents, suitable for car camping. 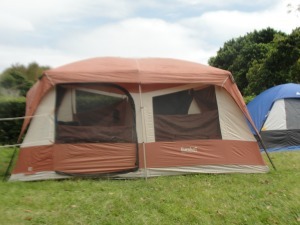 There are various types of family tents. You have dome, tunnel, cabin, and hybrids (combinations). A basic dome tent is of course shaped like a dome with a rectangular floor. The basic dome tent has 2 poles that curve over and cross at the top of the tent. A tunnel tent is a tent shaped like a tunnel with poles that arch around the top. Depending on the pole design they are good in windy conditions. Cabin tents come with side walls that are nearest to vertical, which maximizes the living area. And remember the saying, “you get what you pay for”. Eureka tents are some of the best cabin tents available in the USA. Presently I own a Eureka 1512 with a removable divider that converts to a 2 room tent. It is old and worn and almost time for a new one. I love it's size and airiness with the big windows. Coleman WeatherMaster series are said to be durable and able to stay dry in long periods of rain. The Big Agnes Flying Diamond 8 Person Tent has received great reviews. It is a 4 season double dome tent, with a full fly and vestibule. One of my camping buddies ended up with this by default (long story). When we put it up for her she was not happy. She thought it was a man's tent. So she switched tents with a male camper. He found that it stood up well to the wind and rain, but it was hot. And the sun had not crossed the line into summer yet. Once he rolled up the canopy parts of the fly over the 2 doors, so the breeze could flow through, he was okay. 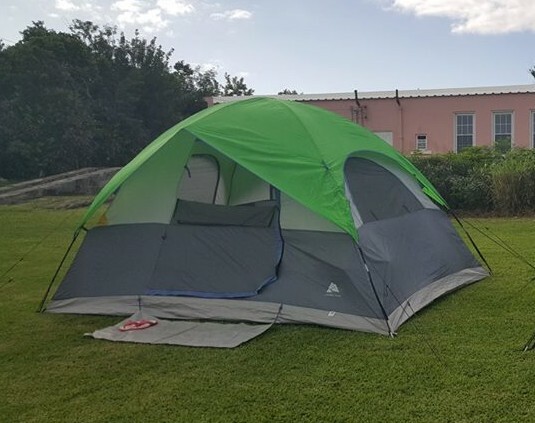 Paha Que -These camping tents are well constructed and built with quality components and are considered reliable. They are great 3 season tents. Outwell – This is a European line of family camping tents, which I like very much. One day I may get one. They are built like suites and are expensive. Vango – This is another European line, similar to the Outwell line, but not as grand looking and cost less.